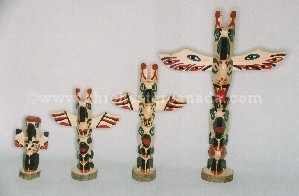 These souvenir Ojibwa totem poles are hand carved from white cedar by Ojibwa artisans and are hand painted. They come in a variety of sizes. 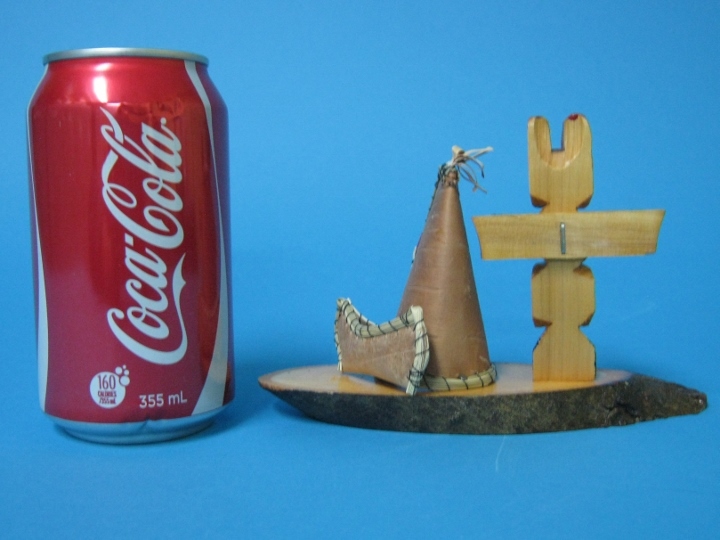 The Ojibwa totem village is a cute combination of our Birchbark Tee-Pee with Canoe and Ojibwa Totem Pole. The teepees are trimmed with colorful porcupine quills, and the totem poles are hand painted and varnished. 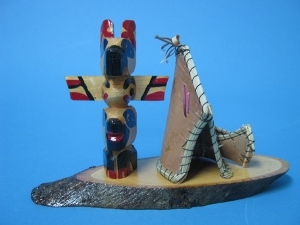 The totem and tee-pee are 3" high and the wood base is approximately 5" wide.